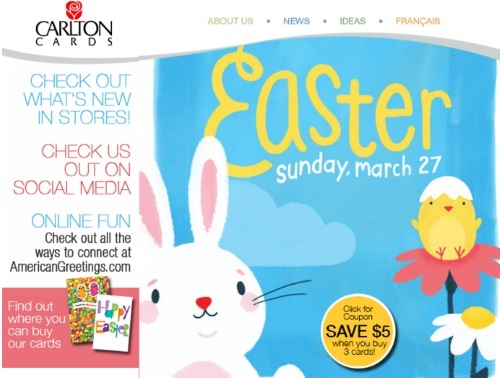 With Easter coming up, Carlton Cards is offering $5 off when you buy 3 cards with the coupon below. This offer applies on Carlton Cards, American Greetings and Entre Nous cards. Cards must all have a minimum value of $3.29 each. Coupon expires April 8 2016.